This is an unusual item that Canon and Nikon photographers might find useful – an intervalometer! An intervalometer is a device that will permit the photographer to set the camera to take a series of images for a set interval. A common use is for time-lapse images of flowers opening, etc. Well, you can do the same thing with you DSLR from Canon or Nikon (others too, with the right adapter). This intervalometer is actually a kit which is available from Amazon.com created by Otter Creek (www.ottercreekdesign.com). 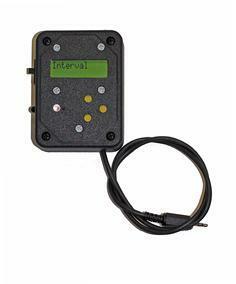 – Standard intervalometer function with options for setting delay time and exposure time. – Built-in optical sensor for triggering camera with light/shadow. – Manual mode for simple trigger and bulb mode exposures. – Two position pushbutton for trigger – focus/shutter, just like on the camera. For only $60 – and an evening of soldering – this might make a fun addition to your photo toys! !